The Mother’s Day tent sale at MPGear has just been activated. 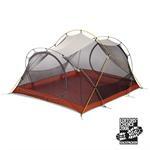 If you are looking for a tent for your wife, your mother, or your family, now is the time to get shopping. For a limited time, and you do realize that Mother’s Day is only a couple days away, MPGear has reduced the price on a few select tents. You will find some great savings on the Big House 4, the WuHu 4 & 6, and the Meteor Light 4 & 6. Quantities are limited though and… oh yeah, what would a Mother’s day tent sale celebration be without having the award winning Mutha Hubba and Mutha Hubba HP tents on sale too! « Those Folks are Tent Smart at Nemo!